July 23, 2014 July 23, 2014 Unsure "Adult"
Over the last 5 years, I have had a lot of trouble with my weight. Shortly before L’s pregnancy, I was so close to 200 lbs. it wasn’t even funny. During L’s pregnancy, I quickly went over and had trouble keeping the weight on because I was so sick. Shortly after his delivery, I got an infection at the hospital and dropped 60 lbs. within a couple weeks, as I wasn’t able to keep anything down and could barely walk from one room to the other. I was lucky that my mom and sister were there to help me with L and myself. It was horrible–I remember being tested for H1N1. About 6 months after L turned 1, we found out that A was on his way. So, I began gaining weight with another pregnancy, right about the time that I reached about 165 lbs. I had a hard time dropping weight after A. And before we knew it—8-9 months after A came, we found out that Z was on the way. I didn’t gain as much weight with Z, but I reached about 190 lbs. I got stuck around 175 lbs and was really bummed. I told myself that I would get more active and everything, but nothing happened until we moved last year. We moved here and were in an apartment upstairs for a while. All the walking up and down and eating better helped me drop a few more pounds, but I kept getting stuck at 165 lbs. I was irritated beyond belief and kept trying to change things. But, when living in an apartment, new to the area, babysitting and breastfeeding–kind of unsure about everything, so not much changed. A couple months ago, my exercises and finally gotten me below 165 lbs and I was thrilled! But, I couldn’t go anywhere else. I got stuck at 148-150 lbs. 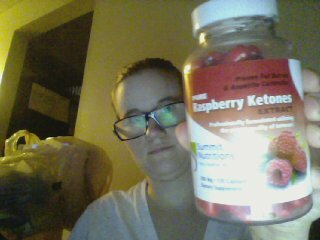 Last month, I got the opportunity to try out Pure Raspberry Ketones from Summit Nutritions. I didn’t think much off them, but I tried them out for a week. I ate when I was hungry, foods I normally ate and didn’t have much extra exercises in the week. I climbed on the scale at the end of the week and wasn’t expecting much. But, I had actually dropped about 4 lbs! I took them when I could remember and occasionally, I would forget to take them 30 minutes before I ate. But, they worked! First, I (TMI) burped at one point–and it isn’t the nasty taste burps. It literally “tasted” like raspberries, it was kind of funny. Second, I would recommend that if you are going to stop taking them, that you “ween” yourself off of them. Do not go cold turkey! I did and the first week or so, I found myself eating more again and for a while, I actually started putting the weight back on because I wasn’t monitoring how much I ate and all. But, I definitely recommend them! I was amazed that they actually worked, but love that they are completely natural!!! Still doing what we can.